The veteran leader is on track to become Japan’s longest-serving prime minister. 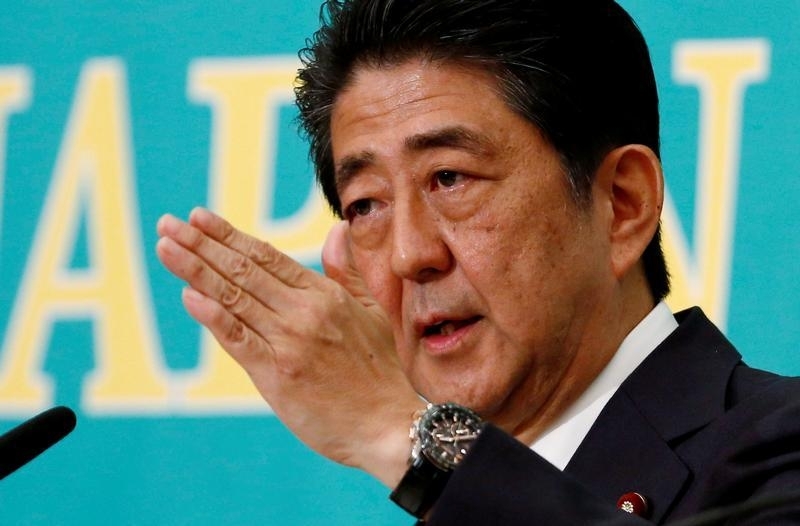 After almost six years of Abenomics, his signature policy is gaining traction. But with Tokyo caught in trade war crossfire, Shinzo Abe’s manoeuvring in Beijing and Washington will matter more. Japanese Prime Minister Shinzo Abe, 63, will face former defence minister Shigeru Ishiba in a Sept. 20 vote to select the next head of the ruling Liberal Democratic Party. If he wins, he should be on track to become Japan’s longest-serving prime minister. Support for Abe has recovered after a scandal over allegations of cronyism hurt his approval ratings in April. A Nikkei business daily survey released on Sept. 3 put support for Abe's cabinet at 48 percent, up three points, while a poll by the conservative Yomiuri newspaper showed support of 50 percent, up five points. Japanese corporate capital expenditure jumped 12.8 percent year on year in the quarter ending in June, according to numbers released on Sept. 3, its biggest increase since 2006, raising hopes of a recovery led by the private sector. Data released on Sept. 7 showed household spending rose 0.1 percent in July, confounding expectations of a drop. This item has been corrected to note that Abe will be on track to become the longest-serving premier in September, but will not immediately beat the current record-holder.